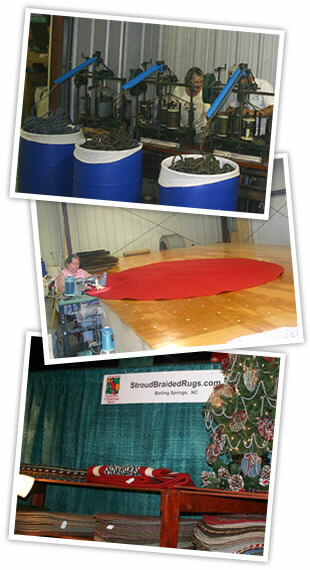 Thank you for visiting Stroud Braided Rugs. We appreciate your interest and look forward to serving your needs. 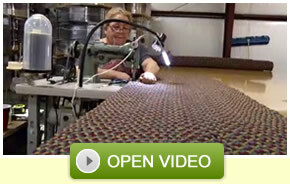 We're a family-owned business that has been manufacturing braided rugs for generations. Over the last 20 years, The American textile industry has changed dramatically. We've survived and grown our business by focusing on what we do best: producing rugs that last. 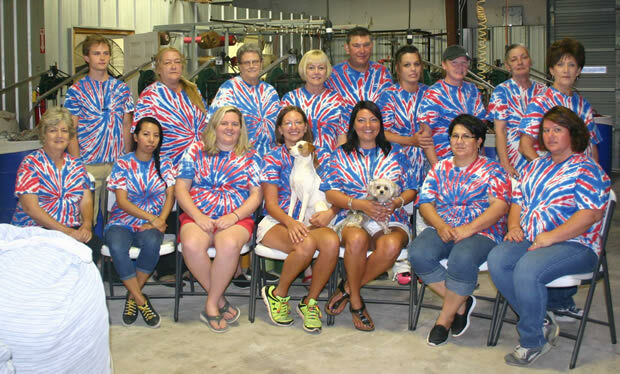 We take a simple approach to our business: we treat our employees and customers the way we would want to be treated. It's not always the best thing for business in the short-run, but over the long term, it has served us well (and helped us sleep through the night). In 2010, we decided to offer our braided rugs online — directly to the public at wholesale prices. The web site was such a success that we decided to ONLY sell our rugs online. Today you'll only find our rugs here on our web site and at Amazon.com (a smaller selection) — not in stores or on other web sites. Want to know more? Take a tour! News 14 Carolina recently profiled our company in a "Made in the Carolinas" news segment. Click the image above to take a look. Dirty rug? 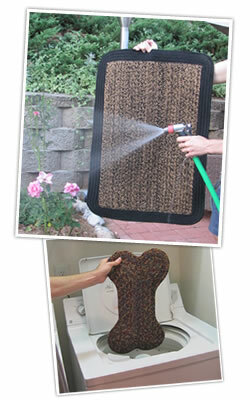 No problem - you can machine wash smaller rugs and use your garden hose on larger rugs. And: they dry fast. NOTE: Wool rugs must be hand washed. 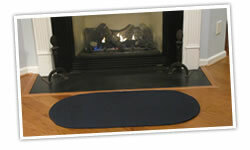 Since our rugs are 100% waterproof (and won't dry rot like cotton rugs), you can use them anywhere, on any surface. NOTE: Wool rugs must be used indoors only. Our rugs are reversible, so flip 'em over and get double the life. They're also stain-, fade-, and mildew-resistant, so they last even longer. Our rugs are 100% Made in the USA. We manufacture our rugs in the mountains of North Carolina, and we buy our materials and equipment from American companies. Your purchase supports the American economy and a company dedicated to keeping jobs here at home. Washable: Our rugs can be used either indoors or outdoors, and you can wash them with a hose or in your washing machine (lay flat to dry). Thanks to our high-quality yarn, our rugs also dry very quickly. NOTE: Wool rugs must be hand washed and used indoors only. Durable, Stain-Resistant, Mildew-Resistant Yarn: Over the years we've tried about every yarn out there. The olefin and wool we use in our rugs are simply the best we've ever found. 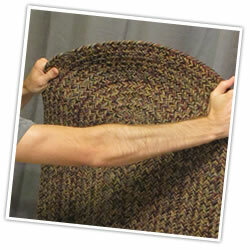 Olefin is a synthetic, polypropylene yarn that is extremely durable, yet soft enough for use indoors. Wool is a natural material that is extremely soft, but has been manufactured for use in braided rugs that need to hold together for years. Both yarns are stain-resistant and resist fading thanks to a Solution Dyeing Process which dyes each strand of yarn all the way through, not just on top (as with some lower-quality yarns). Click here to read more about our wool and olefin yarns. Note: Not all olefin yarn is the same. Cheaper grades are somewhat shiny and may develop a fuzziness over time. The yarn we use is first quality olefin carpet yarn that undergoes a naturalization process to give it the look and feel of softer yarns but with the washability and durability of polypropylene. We'd be happy to send you a free sample of our yarns, just click the Free Sample tab on any rug.